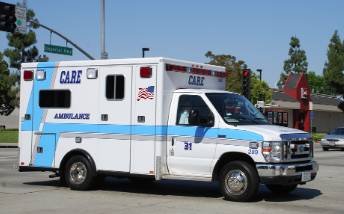 By now many of you have already read former Interim Fire Chief Tom Arnold's commentary in the Daily Pilot, HERE, in which he sets the record straight on the process by which the City of Costa Mesa acquired six (6) rescue ambulances for $1.6 million as part of his 17-point plan for the reorganization of the Costa Mesa Fire Department. As one of those who sat through each of the many presentations of Arnold's plan over a couple of years, and who wrote about it every time, I have a pretty good recollection of how things went. 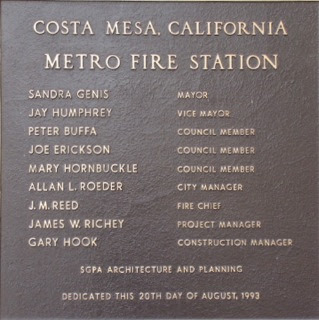 I recall, specifically, that an integral part of the plan was for the Costa Mesa Fire Department to take over the transportation of injured or ill individuals and, as a result, the charges for that transport would end up in the city coffers and not in the pockets of the private ambulance company - CARE Ambulance. 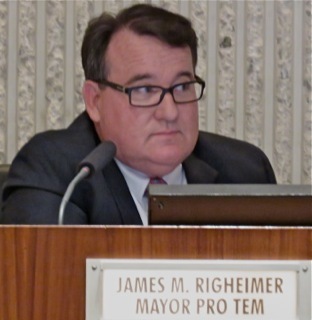 I was in the audience when the City Council majority chose to leave things as they are and continue permitting CARE Ambulance - a campaign contributor to Mayor Pro Tem Jim Righeimer's campaigns - continue to reap all those dollars - upwards of $3 million each year, depending on which iteration of the alternatives were chosen. Worse, I was aghast when Righeimer flat out lied about the transportation element. 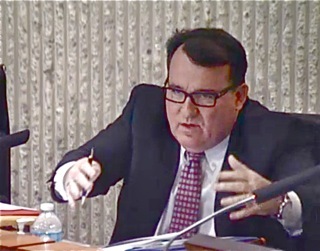 As he uttered those words I glanced around the auditorium and saw many regulars to this process - residents and city staffers alike - do double-takes. When I looked back at Righeimer I fully expected to see his nose growing as he told that whopper. 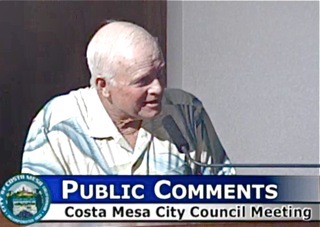 Those who know Chief Arnold - a kind and thoughtful man of impeccable credentials, a long-time Costa Mesa resident and mentor to many in the fire service - have some feeling of the kind of angst he must have gone through before he published that commentary. As kindly and professionally as possible, he told us that Righeimer was wrong - and intentionally wrong, to boot. Righeimer is now officially a lame duck - a man with less than three years left on his tour - which makes him even more dangerous. 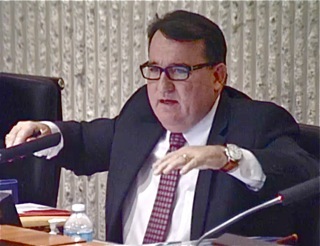 He's done tremendous damage to this city over the past five years and, with no election on his horizon, has nothing to lose if he continues to dismantle one of the best municipal staffs in Orange County and cut the legs out of the public safety organizations due to his vindictive hatred of those who perform those dangerous jobs to keep us safe. I've discussed those shortcomings of his many times in the past and will keep reminding you of them as we move forward. Now this big cloud hangs over Chief Dan Stefano's fire organization. What now? What is the future of Fire Station #6, our newest station, which sits on land donated to the city by the Sakioka family for that purpose. Part of the plan included the closure of Fire Station #6, but the developments being planned - ground was broken for one of them this past week - makes the closure of that station questionable. And what about those six rescue ambulances we purchased and have been in the process of folding into the deployment plans? Do we sell them off like brand-new scrap, for pennies on the dollar? In my opinion, the City Council made a HUGE mistake when deciding to stick with the status quo. They allowed a campaign contributor to frighten them into believing that NO ambulance company would agree to a reduced role in our city. Shame on them for walking away from a significant revenue source - greater on an annual basis than our Business License Tax and Investment Income revenues combined - and the opportunity to provide state-of-the-art Emergency Medical Services to the community. 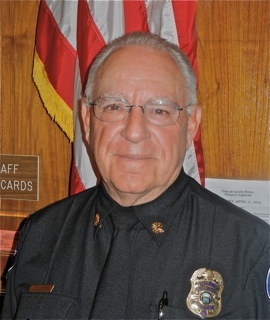 With that on our minds, I finally want to say thanks to former Chief Tom Arnold for his wisdom, guidance of our fire service and support for our city.... and for the courage to tell it like it is on this issue. 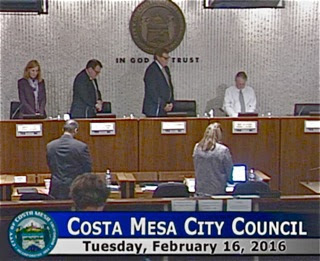 The Costa Mesa Planning Commission, guided by Chairman Rob Dickson, meets again on Monday, February 22, 2016 beginning at 6:00 p.m. in City Council Chambers at City Hall to discuss another handful of developments. You can read the full agenda HERE. Items 2, 3 and 4 involve replacing seven (7) existing units and replacing them with fourteen (14), doubling the density. I noted with great interest as I scrolled down through the agenda that Consent Calendar Item #2, HERE, is on the agenda. 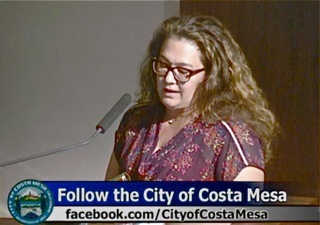 This is a General Plan Conformity Resolution for the proposed relocation of the Costa Mesa Sanitary District to move their headquarters from their very inadequate location on 19th Street to a new location at 290 Paularino Avenue, near John Wayne Airport. Normally, Consent Calendar items are voted upon with one vote, so this one might not get any discussion. The staff report is interesting and anyone who has visited their current location knows it's much too small with woefully inadequate parking. This, of course, means that their location on 19th Street is probably going to be sold. Public Hearing #1, HERE, is a request for a two-year time extension on the development agreement for a project at Harbor and Hamilton, apparently delayed due to difficulties with the remediation of soil and air contamination. 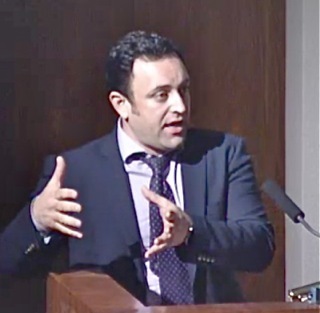 Further complicating things is the revelation by nearby businessman Tim Lewis recently that the title on a portion of this property at the time of the original hearing has been brought into question. Correspondence from Lewis is included in the staff report. Public Hearing #2, HERE, is a planning application for a two-unit residential development at 146 E. 18th Street that falls under the Small Lot Ordinance. These two homes replace a single-story home with detached garage and meets all requirements except for a minor setback modification. Both proposed homes will actually front on Fullerton Avenue when completed. Public Hearing #3, HERE, is another new development - an 8-unit, two-story small lot subdivision at 133 and 139 E. 21st Street. It will involve demolishing the existing 5 rental units and replace them with the proposed 8-unit development, again based on the Small Lot Ordinance. It should be interesting to hear this conversation. I found myself wondering how a fire truck will navigate in the driveway, for example. Maybe someone will ask. The last item on the agenda, Public Hearing #4, HERE, is for yet another development. This time it's a 4-unit detached development at 165-171 22nd Street, which also falls under the Small Lot Ordinance. There's some confusion as to the actual address. The cover sheet says 167, but the staff report and maps says 165. This project is asking for a significant variation on front setback - 9 feet instead of the 20 feet required. 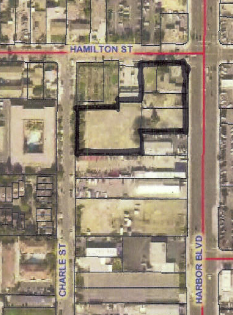 There currently are two dwellings on the two lots, which would be replaced with the 4 units proposed. 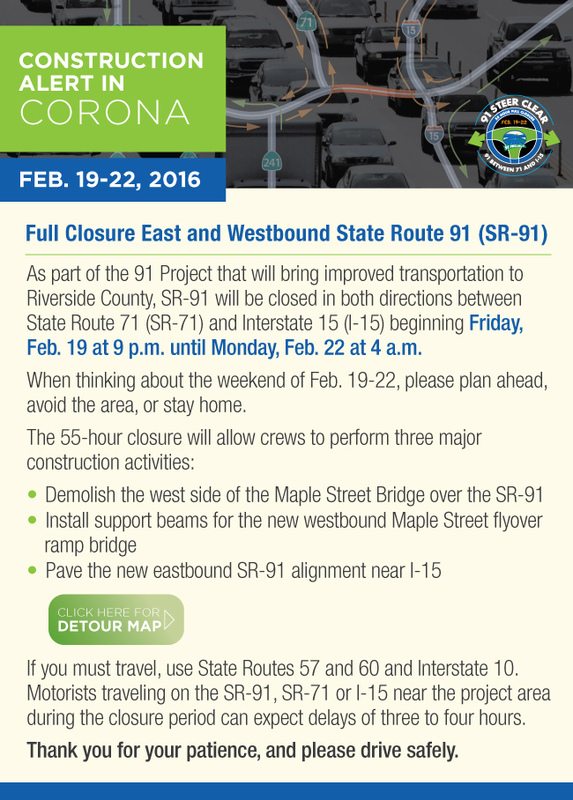 Avoid SR 91 This Weekend! It's going to be a mess for 55 hours - at least! Read the notice below and click HERE for more information, including links to detour maps. 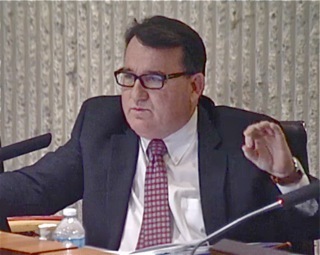 As those who follow this on Facebook and elsewhere may already know, yesterday Orange County Registrar of Voters, Neal Kelley, certified that the so-called Smart Growth Initiative has enough valid signatures to qualify for placement before the voters on the November 8, 2016 ballot. I confirmed this fact with Costa Mesa City Clerk Brenda Green earlier today. 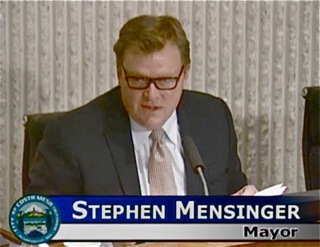 For those only marginally familiar with the initiative, please click HERE and be taken to the Costa Mesa First page with an informative chart AND links to the initiative itself AND the City Attorney summary that was prepared. So, what's next? After they stop doing cartwheels from this news the supporters of the initiative will realize there's still another step to be taken - the acceptance of the certification by the City Council. 1. Accept the Certificate of Sufficiency issued by the County of Orange Registrar of Voters regarding: An Initiative …. 3. Order a report pursuant to Election Code § 9212 at the regular meeting at which the certification of the petition is presented. 7. Its impact on agricultural lands, open space, traffic congestion, existing business districts, and developed areas designated for revitalization. The report(s) shall be presented to the City Council no later than 30 days after the elections official certifies to the legislative body the sufficiency of the initiative petitions. 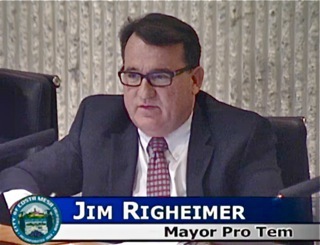 While the City Council cannot keep the initiative from being placed on the ballot - although I have no doubt Mayor Pro Tem Jim Righeimer would love to find a way to do it - they can order one or more reports to be prepared as indicated above and I have absolutely NO doubt that they will do that and that there will be every attempt to tilt the results against this initiative. The attack on this initiative has already begun by members of the City Council, Planning Commission and sycophants who perform at their behest. A certain closed social media site has been engaging in a full-court press against the initiative almost since the signature-gathering began and denizens of that site have skulked out to infiltrate other open sites with the same language, arguments and misinformation. Lying will become the order of the day from them because there's a lot at stake for their developer-buddies when the initiative passes in November. More than 6,000 residents thought it had enough value to be presented to the voters. 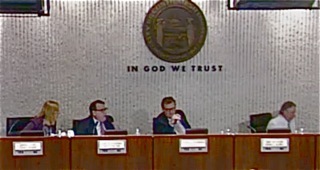 Council Meeting Starts Slow, Ends With A Bang! 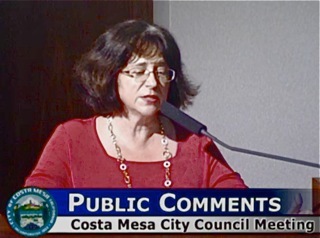 The Costa Mesa City Council met Tuesday night again. You can read the full agenda HERE. It's always kind of tricky to predict how long these meetings will last and last night was no exception. 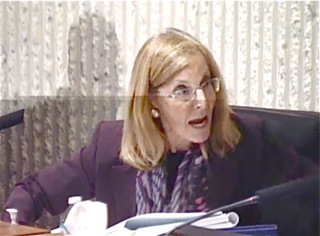 Only four (4) members of the City Council were present - Katrina Foley was AWOL at some exotic ski resort. Too bad for her - she missed a lot of fun. 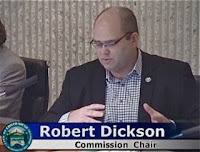 The Mayor's Award was cancelled without explanation, so the Public Comments segment began earlier than usual, even though the meeting began fifteen minutes late. 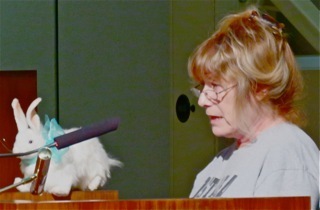 Fourteen members of the public stepped up to speak on issues important to them that were not on the agenda last night. A cadaverous old geezer, dressed in his Sunday Best - taking time out from his Trump-touting on his blog - stepped up first and told us how wonderful the new developments on the Westside were. 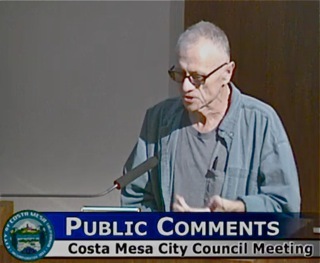 Seems he takes credit for them since he was on the original city committee that created the overlays that are now being applied - some say misapplied - throughout the Westside to maximize density, increase traffic and otherwise make life miserable for long-time residents. He told us the Trader Joe's on 17th Street is the highest grossing store in the chain and attributed that to the new development across the street. Well, I cannot imagine a single resident of Superior Point walking across the street to that store - and the traffic is only going to get worse when the 177 units are built at 17th and Pomona - in the same block. Flo Martin showed slides of extremely dangerous portions of Fair Drive and asked for greater police presence. Good luck with that, Flo. 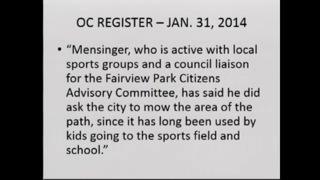 Kim Hendricks amused us by putting Mayor Steve Mensinger on the spot with a slide quoting him from a newspaper article referring to the now-infamous Fairview Park Decomposed Granite trail - a road, actually. He ignored her. She also reminded us of the new initiative for which petitions are being circulated for signatures to put it on the ballot. This one will protect Fairview Park from development. Reggie Mundakis spoke about Fairgrounds issues, including unenforceable noise contracts and the importation of a Canadian guy to help run the fair. She wondered why qualified Americans were bypassed and a Canadian imported from a teeny rural fair in that country. Seems like a good question. Beth Refakes again reminded us of the Eggstravaganza for the kids of the 1/5 Marines at Camp Pendleton. The Military Affairs Team is collecting plastic eggs and small toys and individually wrapped candies to be placed in them for delivery to the children the middle of March. The footlocker for collection is in the lobby of City Hall. Mary Spadoni reported much activity on Nextdoor dealing with crime throughout the city. 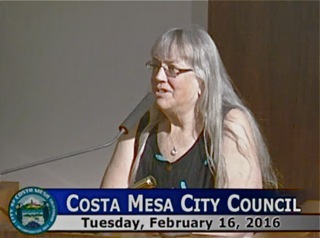 She also bemoaned the lack of a Nixle presence in Costa Mesa, indicating that Costa Mesa residents - unlike folks in neighboring cities where Nixle is used to communicate with the public - have to use "jungle drums" to get the word out about crime. She observed that the IT staff was insufficient to do the job. An unidentified gent complained about speeding on Victoria Street. 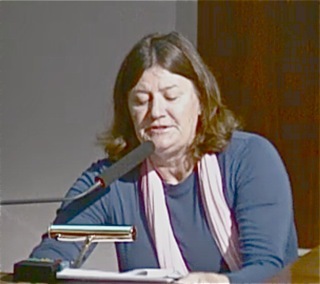 An unidentified woman spoke about the recent meeting at Hoag Hospital with the Air Quality Management District to update the public on the testing at the Hixson Metal Finishing company in Newport Beach. 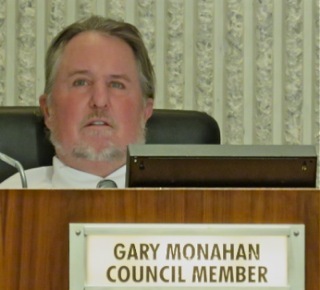 Some may recall that last year it was determined that the company was spewing toxic levels of Chromium 6 into the air - much of which traveled into Costa Mesa - which is one block away. She wondered why no member of the City Government or staff was present? I, too, had the same question. 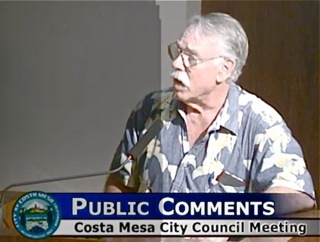 Several residents of Costa Mesa DID attend the meeting and heard the folks from the AQMD tell them that the releases were MUCH better - near or at "background" levels, but that more testing will continue with new processes being moved through the approval cycle in Newport Beach. 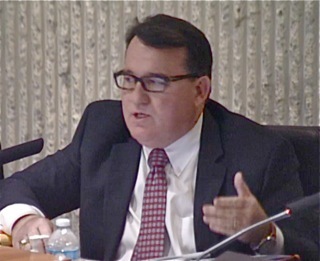 Jay Humphrey, who also attended that meeting, also addressed it and said much of what I just mentioned. 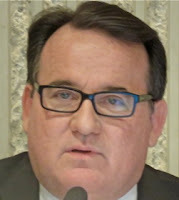 Tea Party Tom Pollitt stepped up to tell us that Jeff Arthur, Chairman of the Pension Oversight Committee, has been hospitalized with a very serious ailment - Wegener's Disease - and is in the Intensive Care Unit of a local hospital. Then Pollitt told us that he's been trying to evaluate our labor contracts and admitted that he didn't understand them, but he still showed an illegible spreadsheet on the screen and talked, and talked and talked - well beyond his 3 minutes, but the mayor let him jabber along, even though he cut other speakers off quickly when their time expired. 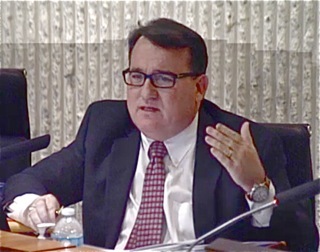 Al Melone again complained about issues with the Dog Park and was thrown off his pace when the slides he said he emailed to the City Clerk were not available to be shown. Many breathed a sigh of relief. 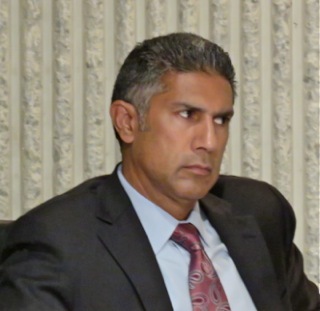 Melone, a former candidate for City Council, complained about "mentally-retarded people from Tustin" coming to the Dog Park and not being able to read signs. He's not a happy guy. 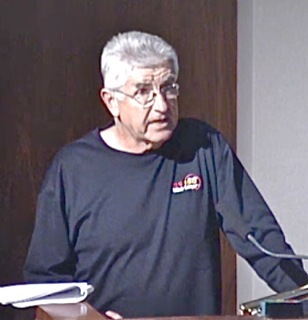 Another unidentified speaker complained about the arbitrary extension of Pollitt's time, then congratulated Fire Chief Dan Stefano for the fine work his staff did attending to her recent injury. 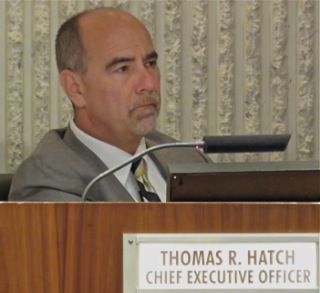 Ralph Taboada observed issues from the last meeting in which dollars were authorized to be spent for engineering work at Costa Mesa High School but the school district can't seem to find enough cash for academic issues. 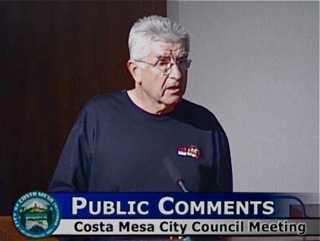 Tim Lewis again stepped up to address the Red Mountain development near his business on Harbor Blvd. 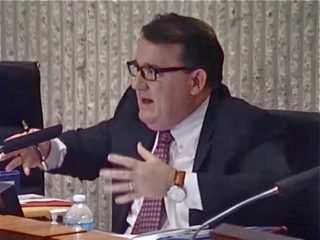 He has pointed out before - to the council and Planning Commission - that staff messed up with the title of the property in question and wanted answers. During Council Member Comments Sandra Genis observed Kim Hendricks presentation and Flo Martins concern for safety on the streets. 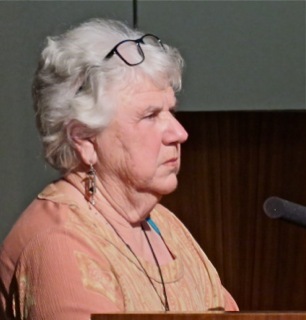 She then commented on Reggie Mundakis' complaints about the Fairgrounds and mentioned the fight to keep the Fairgrounds from being sold, and that it was important for the City to keep an eye on that situation. She also commented on the Nixle situation, observing we needed more police. 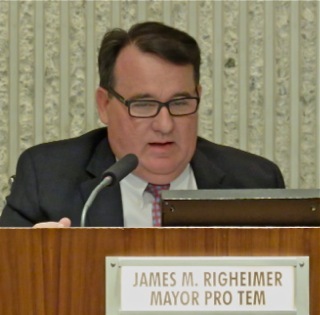 Mayor Pro Tem Jim Righeimer, in a backhand at Genis, said he was not going to make any political comments because he's not running for office this year, to which Genis took umbrage. She demanded a point of personal privilege to retort Righeimer's jab, indicating that as long as she's up there she's going to do the job to which she was elected and highly objected to Righeimer's remark. Good for her... but the best was yet to come... stay tuned. 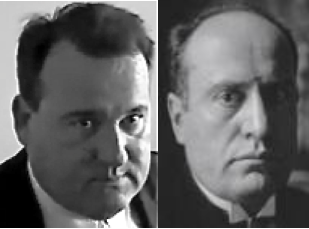 Mensinger made a more veiled criticism of Genis - he IS running for office this year, and told us AGAIN that he walks the streets for the people. Funny.. there's a name for that, isn't there? It was then CEO Hatch's time to report, but Mensinger said, "You're going to have a short one, right?" because it's his wife's 51st birthday and he wanted to get home. What a jackass! Hatch said only that he would follow-up on the concerns expressed by the public last night. 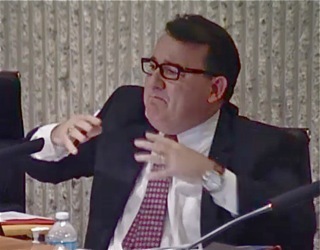 and they were finished at 6:58, but, because of the stupid rule established by Monahan while mayor, they couldn't begin Public Hearings until 7:00. That meant the applicant under New Business #1 had to cool his heels for 90 minutes instead of fifteen. More great management by our "stellar" elected leadership. 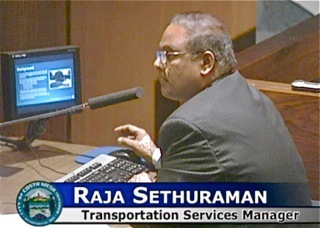 Anyhow, Old Business #1, the discussion by Transportation Services Manager Raja Sethuraman of the possible closure of openings in several sound barriers along Victoria Street and one along Fair Drive were discussed. This slide shows the areas in question. During Public Comments on this issue seventeen (17) members of the public stepped up and addressed their own particular issue, including the president of the Victoria Street Elementary PTA. 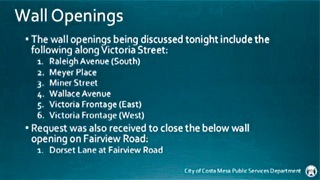 Most, but not all, of the comments regarding the Victoria Street closures were against it. 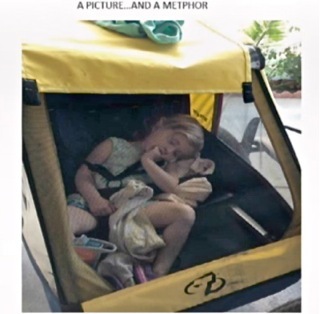 One used a slide show to show his views on the closures, including one featuring his child snoozing in a cart. Observations were mostly about safety concerns and the prevalence of vagrants and thieves in that area. The City conducted a recent survey - which it turned out to be less than thorough based on comments by speakers - to determine the public pulse on this issue. In the end, the council broke the considerations into three pieces. They first voted to close items 1, 2, 4 and 7 on the list above on a 4-0 vote. They then considered #3, Miner Place, separately and eventually voted to close it, too, on a 4-0 vote. Then they voted 4-0 to do nothing on items 5 and 6, the Victoria Street frontages. 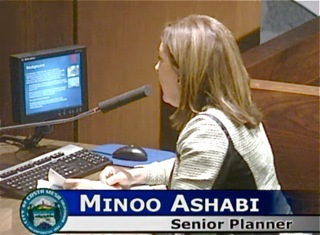 At 8:05 they began to hear Public Hearing #1, Senior Planner Minoo Ashabi guided the first reading of the Water Efficient Landscape Ordinance demanded by state law. After a short discussion - there were no public comments - they took two 4-0 votes necessary to move this forward to the second reading early in March. 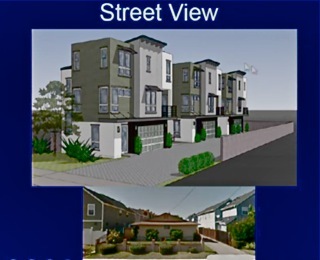 At 8:15 they began New Business #1, the proposed development at 1979 Anaheim Street, where an existing single family home and detached two-car garage will be replaced by three dwelling units, all to be build under the Small Lot Ordinance. 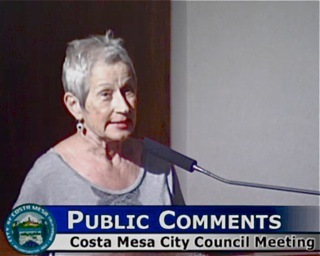 During the brief Public Comments segment an unidentified woman spoke of the bad parking situation along that street, and reminded the council that there is a multi-unit sober living home just a couple doors away from this site. 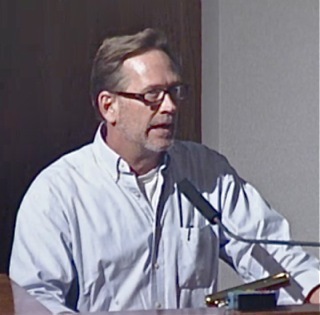 Speaker Rick Huffman quoted from the original Westside Overlay which requires specific issues - which this project seems not to meet. 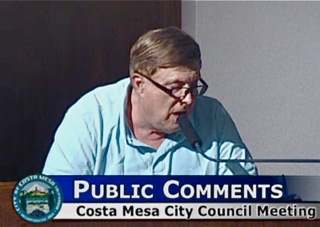 The applicant told us these are for sale units, not rentals, and that he wants to "be part of the solution" to Costa Mesa's affordable housing shortage. No mention was made about the target price on these units. 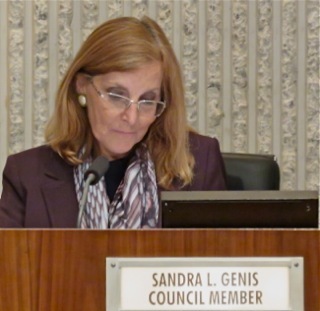 When Genis expressed concern about the parking Mensinger spit back at her, "Shall we just abandon garage parking altogether?" Anyhow, at 8:40 they moved this item on without a vote. He'll be back with his project before the Planning Commission. Next came New Business #2, the Financial Reports, HERE. 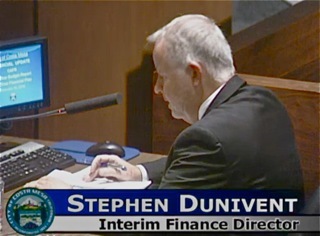 I gave you that link because there's a whole lot of information to be absorbed in the three segments of Interim Finance Director Steve Dunivent's presentation. Most of the details are in the three attachments on that link. Those segments are the June 30, 2015 CAFR report; the FY15/16 Mid-year Budget Report and the Five-year financial plan. This chart shows the thumbnail version of the CAFR. We ended the fiscal year last June with a $3.6 million surplus, due to revenues being 3% over budget and expenses were 8% below. The staff report shows the detail, but much of the $8.56 million expense savings was due to vacant positions not being filled. 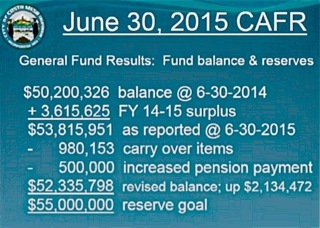 We now show the pension debt - $214,555,366 - on the balance sheet instead of as a footnote. This reduced the over all "net position" to $67,402,811, down from more than $270 million the year before. We currently earmark 6.5% of the budget for Capital projects. It was mentioned that we have 84 active projects - a huge workload for the staff, which has had to resort to spending nearly $1 million for contract engineers to help manage the projects. 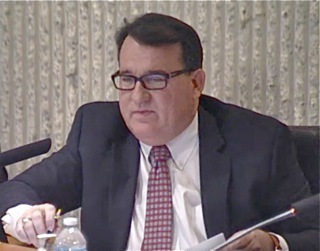 During Public Comments Ralph Taboada asked why the city didn't budget for actual staff dollars instead of budgeting as though every one of the 478 positions were filled as of July 1. There was a lot of tap-dancing on this issue, but it boils down to the fact that those dollars make it easier to shuffle funds to , for example, justify hiring consultants and other temporary workers. This is very much like outsourcing without all the nastiness of actually having to lay a bunch of folks off. We spend thousands of dollars every month on temps and consultants instead of actually hiring new staff. 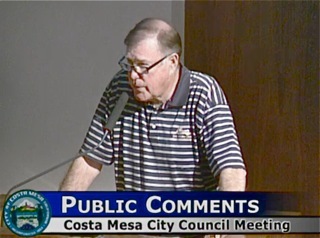 During his recent speech on Costa Mesa Brief Hatch told the audience that we have 478 authorized positions and only 407 filled. A nearly 15% vacancy rate is not healthy, no matter how you want to play games with those dollars. 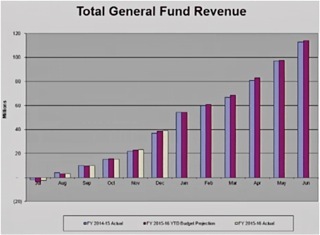 During the Mid-year Budget review we learned that revenues are just about as projected. The chart below gives you an indication of this trend. The expenses are another issue, though. General Fund expenditures are just under $2 million below budget and it is anticipated they will remain below budget for the remainder of the fiscal year. Of interest is the fact that 90% of Hatch's Contingency Fund has been spent through the end of the year. That means he has just over 100,000 left for whatever "contingency" might occur between now and the end of June. 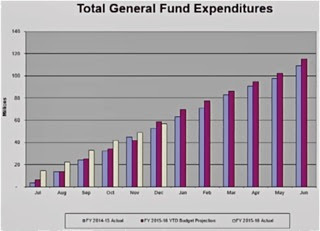 This chart shows the expenditures trend. This chart shows the Employee Salary and Benefits trend for this fiscal year. 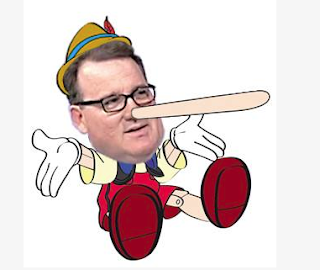 So, during the discussion Righeimer stated flat out again that he didn't want to spend another extra cent on Pension costs - meaning he didn't want to continue to add an additional $500,000 in the budget to pay down the pension costs. He ranted and raved about it at length. This series of images will give you an idea, but you'll actually have more fun if you watch the streaming video - it's near the end. When the votes came Righeimer tried to get the extra $500,000 removed - his motion received no second! Take that! 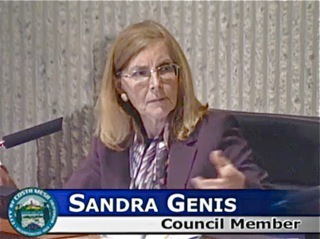 The meeting ended without further comment from City Attorney Tom Duarte or any other staffers, and Genis never did get her question answered - how did the Fire Side Fund balance increase when it's a simple note, with interest payable each year? Dunivent said he would investigate. That's all folks... it was fun, and worth the wait until 9:30.